Welcome to week 28 of the Cosmic Trigger Reading Group. 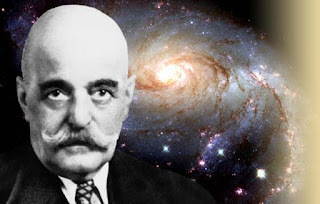 This week we are working with the final 2 chapters (233-244 Hilaritas) of Cosmic Trigger (not counting the afterwords by Saul Paul Sirag, about which more later), and if you haven’t read those chapters I advise you not to read this post. Cosmic Trigger is a mostly spoiler-free book, and that is not the case here. Saul-Paul Sirag suggests that sometime the first experiments with a time machine will be conducted sometime in the 1990’s, with resulting odd effects creating all of the “occult” events that Cosmic Trigger has chronicled. These time machines might require the use of the Dark Companion of Sirius, the nearest dwarf star to Planet Earth. 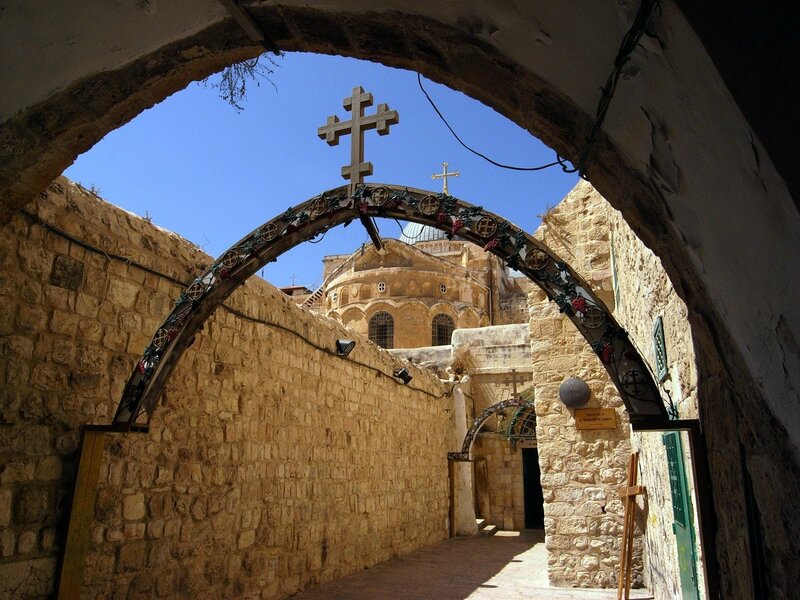 Straight out let’s note that Via Dolorosa, the Way of Pain, Grief, or Suffering, is the name of a street in Old Jerusalem that Jesus is held to have walked down on the way to his crucification. 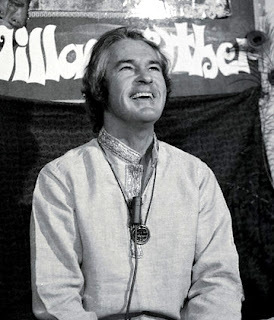 It also ties in to the Gurdjieffian concept of Intentional Suffering as a high powered method of scraping away the chaff and getting closer to one’s Original Essence, which Bob relates to Circuit 8 in the Leary Octave of Consciousness. So the Way of Suffering is revealed as (one of) the most powerful ways to expand your consciousness and climb the ladder of personal development. Be careful what you wish for. Speaking of Gurdjieff, watch how Bob hides the final secret of the Illuminati right out in the open, right at the end, just like Mr G did in his (much longer and more difficult to digest than Cosmic Trigger) epic Beelzebub’s Tales to his Grandson. In September 1976 Bob enters alpha during a group brain-wave harmonization and gets a flash that his son Graham would die soon. He immediately utilizes “concentration methods learned from Crowley” to banish fear and anxiety. He also sets out on a course of rituals to protect his son and, based on his awareness that “this might only deflect the calamity slightly,” the rest of his family as well. Remember that on pages 101 and 137 Bob has already written about a couple of other interesting psychic events involving Graham, one of which involved creating a protective “cone of power” around him. Then he drops the bomb and tells us about the last time he told his daughter Luna how much he loved her, and then the jumble of events following her death. This section seems unhinged from time and space, a sort of mini-Chapel Perilous, as Bob hears about her death from a police officer with “the most pained eyes I have ever seen, ” and spins in and out of grief and gratitude, rationalization and uncontrollable sobbing, finally emerging to find himself surrounded by a network of unbelievable love and support as the immortality community rallies around him and jumps through the million and one hoops necessary to cryonically preserve Luna’s brain. And so Bob “finally learned the final secret of the Illuminati,” which is you and me and everyone else who employs that secret to the benefit of ourselves, each other, this entire struggling planet, and all of Universe. Next week we have a special update to his Afterwords by Saul-Paul Sirag. You won’t want to miss it. As always, please chime in with your own thoughts regarding Bob’s final 2 chapters of Cosmic Trigger. I think I've cried every time (five times so far Hail Eris) I get to Luna's death. Via Dolorosa- I think that one of the greatest "unspoken" parts of the bargain when you begin to deal with magic or start playing the enlightenment game is the overwhelming sorrow that myself, others I've personally known, and more famous types all suffer(ed) from; it's implicit, First Noble Truth and the Crucifixion and all that in the basic religious texts, but it isn't something you get warned about like insanity or demons taking your soul to hell. (I am still waiting for the last one because it seems a lot more entertaining than the reality.) Perhaps it has more to do with something I thought was terribly concise yet pithy 🙄: "No one becomes an occultist because they're happy with the world." It took me years to understand that pretty much all of my idols probably were just as distressed and bummed out by all this as I have been/occasionally am. I almost went on a long ramble here but I'll spare you all. Anyways it's all very sad until you love everything and make samadhi upon what you hate the most. Keep up the heart chakra exercises to keep all the cynicism plaque from clogging your cardio-spiritual system. Naturally it was all there in this book. RAW is very clear about his sorrow, I just wish I had understood better when I was young and impressionable and filling my head with this magnificent, devastating tommyrot! At this point, I couldn’t tell you how much Cosmic Trigger specifically expanded my mind, as opposed to the rest of the RAW oeuvre. Even before Illuminatus! I was predisposed to think that we all live in our own reality tunnels (with strong restrictions from that which does not go away when we stop believing in it) because of a distaste for consensus reality. RAW gave me a structure for it. My reality tunnel is one in which physical science works: The Earth goes around the Sun; vaccines prevent disease and don’t cause autism; toads don’t fall out of the sky. On the other hand “scientific” studies of people are at best limited and conflicting. That was a disappointment because I had to give up on the hope for something like Asimov’s psychohistory, where the animalistic second-circuit activity of politics could be overcome by third-circuit people figuring things out. I leave what will probably be my final reading of Cosmic Trigger with a similar sadness: We didn’t get the SMILE stuff; the Quantum metaphor is outdated; I wouldn’t have had the discipline and courage to follow Crowley even if I’d trusted him. But then there’s the Final Secret. When Wilson’s daughter is brutally murdered by a violent loser to whom we owe the courtesy and respect that is every human being’s due but not much more, he refuses to seek vengeance, and I will always love and honor him for that. I wonder about the about the identity of Bob's best friend, whose death he mentions on page 232 of the New Falcon edition. I wonder about our post-Wilson, post-Leary future. I look forward to Hillary's victory on Nov. 8, as well as the passing of Prop. 64 here in California. Space migration, intelligence increase, and life extension will likely come next. I wondered about the "best friend," too. Can anyone help? @supergee, The first Cosmic Trigger book ends on a very sad not, but Cosmic Trigger II for me seemed more than anything else about hope and determination and ends on good notes. CT II is one of my favorite books. RAW identifies Luna with the Clear Light three times, right before and right after reporting her death. "Now I am experiencing the Clear Light of objective reality ..." is the first line to read when delivering bardo instructions/help/prayers to someone who has just died - from the Tibetan Buddhist belief system. Despite the incredibly sad and shocking news of Luna's death, in my opinion the book ends on a positive note. Maybe it's that positive note that strikes a "doh" for the hopefulness of CT2? p. 240 - "If I still remember that all realities are neurological constructs and relative to the observer, I am nonetheless committed to one reality above all alternatives: the reality of Jesus and Buddha, in which reverence for life is the supreme imperative." As it didn't seem like RAW was much into organized religion, rather identified as a cabalist, and Jesus and Buddha correspond with Tiphareth, this seems to indicate a realization at that vibratory level; other comments in this chapter back that up. One esoteric interpretation of the Jesus story maintains that he didn't go through the drama to redeem people's sins, but rather to used his life as an example to demonstrate how anyone could perform a particular kind of service. In my opinion, RAW did the same in Cosmic Trigger, using the most personal and painful details of his life along with everything else to demonstrate how to raise consciousness to reach a place of real empathy and compassion - call it what you will. I call it Tiphareth realization or Tiphareth actualization and associate it with Leary's C6. Crowley calls it the Knowledge and Conversation of the Holy Guardian Angel. It comprises the supreme initial task in the Thelemic system. I've always wondered about that final secret. Is it that The Network of Love is real, or that positive energy is real? Maybe it's all the themes illustrated throughout the book. I read it different ways, and still wonder what the final secret is. RAW elaborates on his grief after Luna in CT vol 2, pp.81-83 of the revised NF ed, "Bury My Heart At Wounded Knee." Few passages in any books, fiction or non-fiction, have moved me as much as the Luna section of CT1. I remember the first time I read the book: I had not known this happened to Luna, and it really killed me. Rarely have books made me cry, but this did. Virtuoso conspiracy researcher Mae Brussell's daughter died (suspiciously?) 16 months after the Sharon Tate murders, although my first suspicion is that horrible stuff happens to people by accident all the time. What's up, well put together web page you've gotten there!